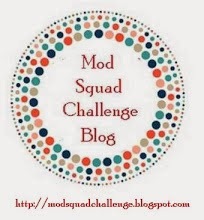 HEY HEY HEY there's another challenge starting at Through the Craftroom Door (TTCRD). This challenge will run through February 24th and is always ANYTHING GOES. Our awesome sponsor this week is Oozak. I am using an image from Saturated Canary called Hugs and Kisses. Oozak sells unmounted Saturated Canary stamps and just about everything else you need for your crafting, including Copic markers. I printed the image on white card stock and colored it using Copic markers (hair - Y18, Y13, Y02; clothes and hearts - R81, R83, R85, R89; boots - E30, E33; box - E42, E43, E44; eyes - G24; lips - E04; skin - E000). The hearts along the side is a cut file from Silhouette Online cut with maroon card stock. This was glued to pink card stock and then I added clear crystals along the stems. The image was cut into a rectangle and mounted on maroon card stock and then onto the pink base. The sentiment is a white rub-on from Stampin' Up! Great card, love those hearts! Thanks for joining us at Sweet Stamps. Excellent card design and darling image too. AW! what a cute image, and so well presented. love it Susan. Very sweet Valentine's Day card. I love the die border on the side. Thanks for joining us at the Craft-Room! Thanks so much for playing along this week with A Random Fan "Anything Goes Challenge” with us! Just loved your card, and hope to see you back here next week! Also don’t forget to follow the challenge blog to be able to win a prize. Lovely image and a beautiful layout, wonderful Valentine!